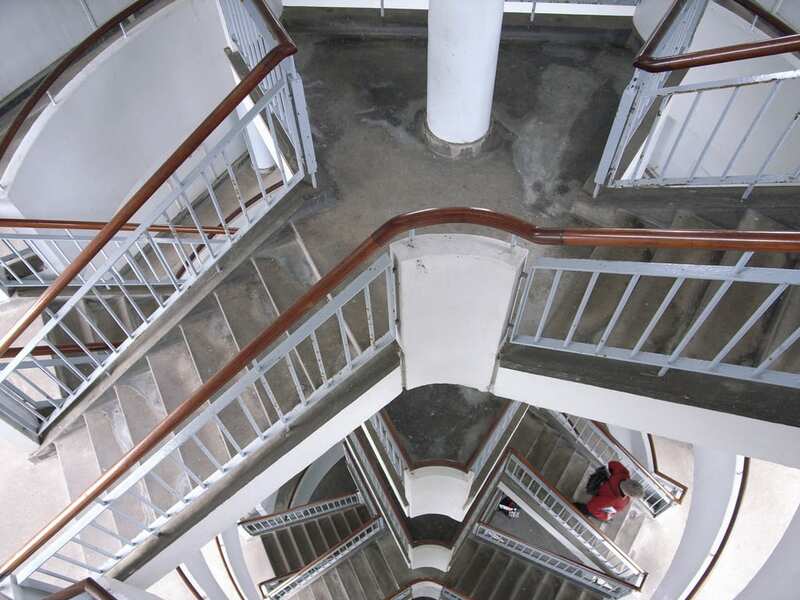 You could use a handrail to stay safe and on course on a winding staircase in darkness. You can also do roughly the same while orienteering, 'grabbing onto' obvious linear features like paths, streams, walls and earth banks through otherwise non descript terrain. Most obviously, you will be doing this with tracks and paths. As you progress to Yellow and Orange, you also get used to following fences, ditches, the edges of fields, and even clear vegetation boundaries. They're basically all long, narrow features. Following a handrail requires less concentration than following a compass bearing. And because the handrail is shown on the map and a compass bearing isn’t, following the handrail makes it much easier to keep tabs on precisely where you are. The map excerpt is taken from the Orange course at Neroche in 2016. Though a direct route is possible for leg 10 to 11, safer routes are possible by following handrails. They are the streams to the west or using a combination of the earthbanks and a stream to the east. At Light Green level, you begin to follow linear contour features like ridges, large re-entrants and to 'contour'. You will also be confident handrailling, that is using handrails in order to nagivate freely and speedily.